Finally, a way of saving the production team of "COPS" a few minutes the next time you get arrested? 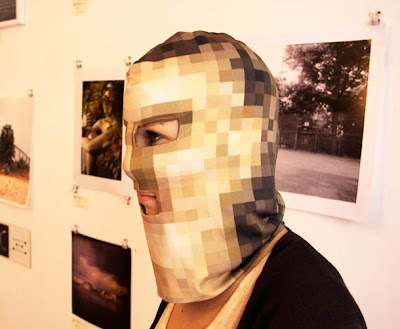 The full face mask Pixelhead acts as media camouflage, completely shielding the head to ensure that your face is not recognizable on photographs taken in public places without securing permission. 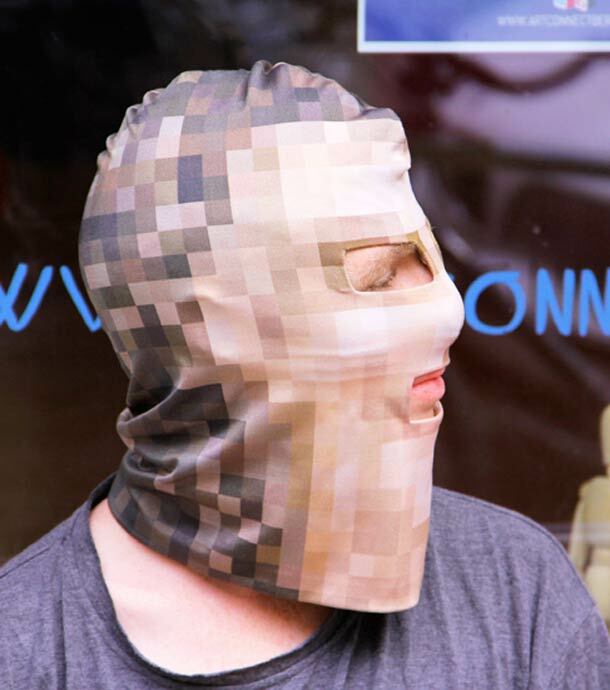 A simple piece of fabric creates a little piece of anonymity for the Internet age.